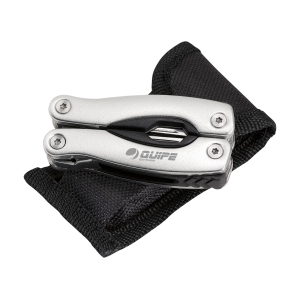 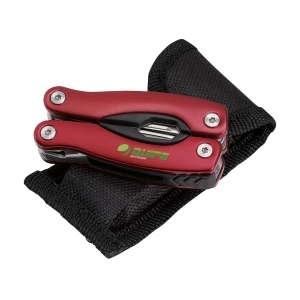 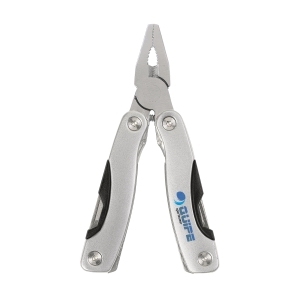 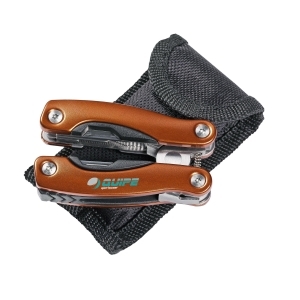 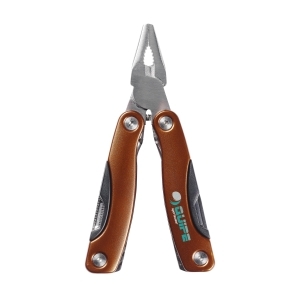 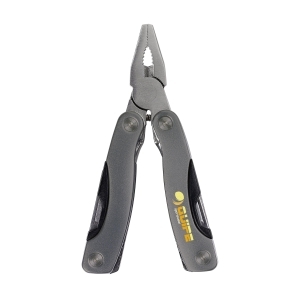 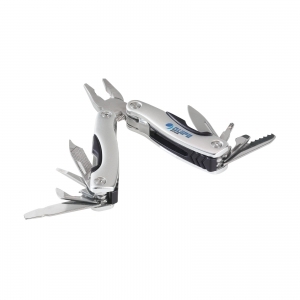 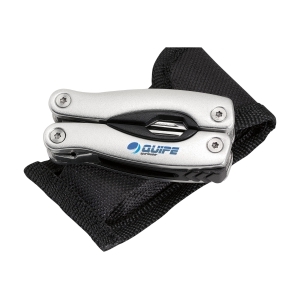 Compact stainless steel multi tool with aluminium hand grip and metallic look. 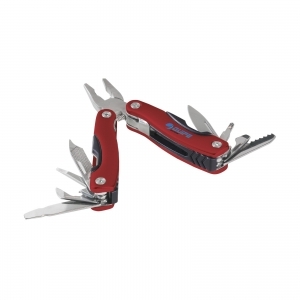 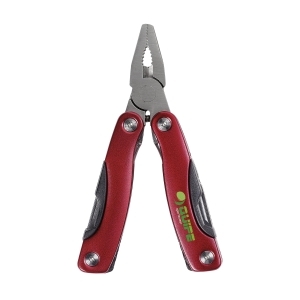 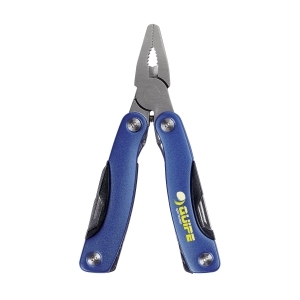 9-pieces with 13 functions: tongs, wire cutter, 3 screwdrivers, phillips screwdriver, file, saw/fish scraper, knife, reamer, can opener and cap lifter. 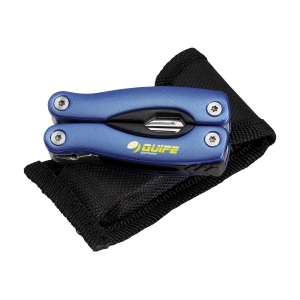 In a 600 D nylon pouch. 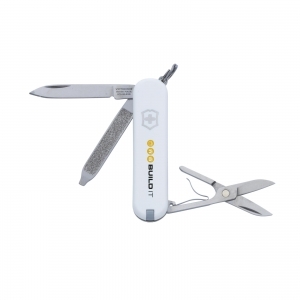 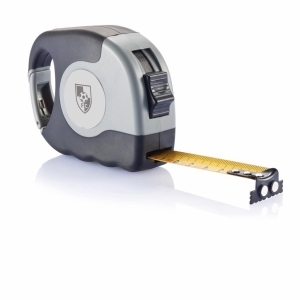 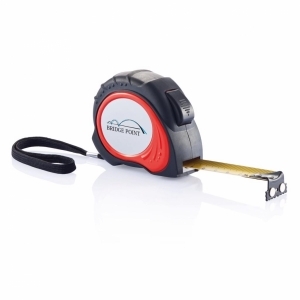 To order an unprinted MicroTool multi tool, please complete the details below.